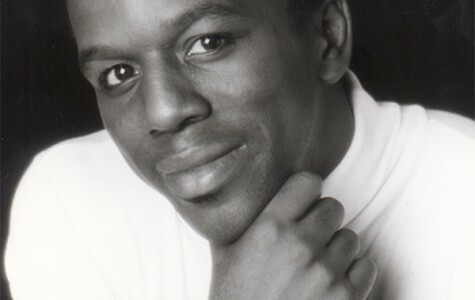 Sean McLeod is an award winning Businessman, Executive Producer, Artistic Ambassador, and American Choreographer whose work spans more than 25 years and three continents. Sean is Founder and President of Reaching for Higher Ground Consulting – a Communication, Performance, and Development Company. He is an Conference Designer, Executive Life Coach, Mediation Expert, and Motivational Speaker that uses the arts to teach Personality Development and Emotional Development for Corporations and Executives. He teaches Life Skills to Teens, Parental communication skills to adults, and does Family Development intervention for public schools. Mr. McLeod is President of the New York Institute of Dance & Education and the winner of countless awards including the coveted Jefferson Award for Public Service to America founded by the late Jacqueline Kennedy Onassis, the New York State Liberty Award- the State’s Highest honor, the NAACP Millennium Award, and the American Red Cross “Great American Heroes” Award. He works in New York City as well as in major cities across the US, and internationally to the West Indies, the Caribbean, Europe, and Africa. Mr. McLeod attended the Conservatory of Dance at the State University of New York at Purchase and has established himself as successful Consultant and Executive Corporate Advisor. An expert creator, strategist, and wordsmith, he assists CEO’s and their teams connect their products with greater audience understanding and appeal. Sean is a Master Teacher and acknowledged developer of movement systems, most notably his codified “MT” McLeod Technique, MT Afro Hip Hop, Training For Athletes – TFA , and Reinforced Motor Function ® RMF which are now being taught globally. Mr. McLeod works in New York City as well as in major cities across the US, and internationally to the West Indies, Europe, and Africa. He is an expert in Body Alignment and focuses on Emotional Development and Personality Development. In his role at the New York Institute of Dance & Education, Mr. McLeod has awarded more than 400 thousand dollars to emerging artists, and helped jump-start many new dance careers by presenting scholarships and choreographic residencies to the New York Dance Festival and the New York Institute of Dance and Education. He has provided master classes, taught, or lectured about business and the arts for several colleges and universities including Wells College, Syracuse University, Rochester Institute of Technology, Howard University, Purchase College, Adelphi University and more. He attempts to prove that you can be anything you want, provided you prepare yourself, share immensely, and help others be significant too.